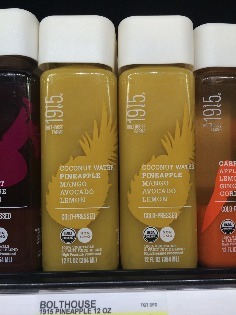 Today while back to school shopping with Tucker (he doesn't start until next Monday) I saw these cold pressed juices. As a picky eater, I love these things (Suja is a favorite of mine) because you can get all the goodness for fruit and veggies without having to eat them (here is a whole article I wrote about picky eaters for Mom's Meet). I have never seen (or heard of) 1915 before, upon further inspection they are new brand from Bolthouse Farms. 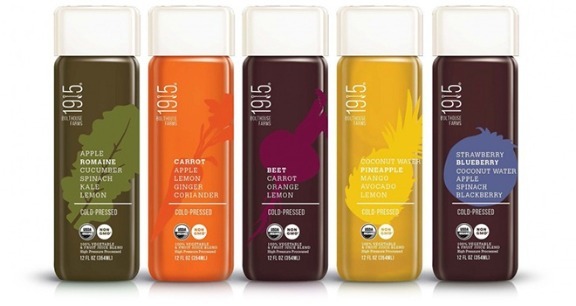 On their website it states, "1915 has simple real ingredients COLD-PRESSED & ORGANIC. We use only high-pressure processing which helps preserve the nutrients of our juice." I also found out that Bolthouse Farms began in 1915, thus the name. Now I LOVE pineapple, and I feel that it covers a multitude of flavors in smoothies (making it a go to favorite for picky eaters like myself). As I stared at the shelf I realized that I had all of those ingredients at my house, so I decided to make it at home first (in case I gagged). 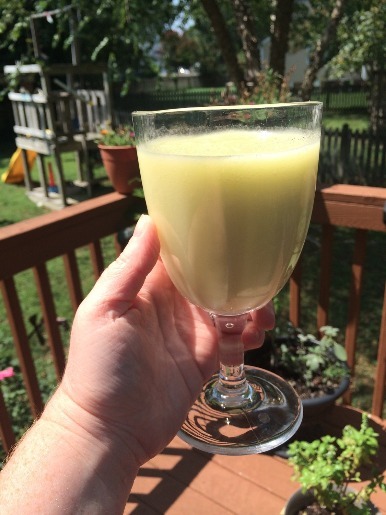 Me and Tucker were both skeptical about avocado in a smoothie, but it really was amazing! It tasted like a creamy yogurt based smoothies we make, making this a wonderful option if you are vegan. It was light refreshing and slightly filling, everything you want from a healthy mid-day treat. With my homemade version being so delightful, I am now excited to try 1915's version. Another great thing about 1915? They are sold at most Targets and Walmarts making this a healthy option that you can find almost anywhere! Whether you are out shopping or in the kitchen you can have a delicious satisfying drink because where there's a meal, there's a way! Click here to check availability near you!